Households that have ensured the saving of gas and electricity will be entitled to subsidies. The Cabinet of Ministers of Ukraine will pay up to 700 hryvnyas to 1.5 million families as part of the monetization of subsidies, Prime Minister Volodymyr Groysman told a government meeting on Wednesday, 26 April. The money will be paid to those who have saved gas and electricity used for heating, he said. "We promised to introduce monetization of subsidies on savings, and now we are taking one a first step toward monetization. According to our estimates, about 1.5 million Ukrainian families that saved gas and electricity for heating will receive up to 700 hryvnia in the near future," Groysman said. 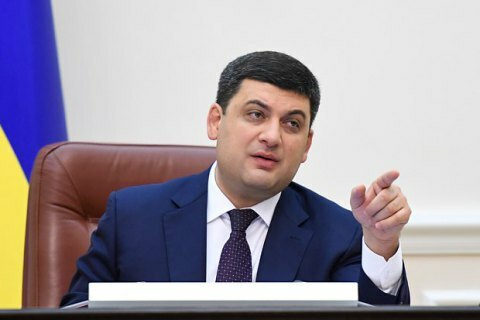 Earlier this month, Groysman said that the government this year will implement the first stage of monetization of benefits and housing subsidies, which provides for the introduction of cash payments instead of clearing at the level of heating utility companies. Full monetization of subsidies for household consumers is a prospect of several years, he said. Ukraine has assumed obligations before the International Monetary Fund to monetize housing subsidies and benefits before late August so that private gas traders could compete with the National Joint Stock Company Naftogaz in gas supply to the population. Vice Prime Minister Pavlo Rozenko told a TV channel later in the day later that this will be a one-time payment. "This is a pilot project meant to give a signal to people that they need to save electricity and gas. If this experiment is successful, I do not rule out that next year we will expand the monetization program of the balances," he said and added that household that not used the entire size of subsidies will be entitled for the payment, announced by the prime minister.